Food has always been an integral part of my life—as a child, I’d watch my mother tending vegetables in the garden before they ended up in our kitchen. As a young teen, I assumed responsibility for family meals when my mother was diagnosed with a severe, chronic illness—there were the growing needs of my five year-old sister to consider; sustenance for my dad when he returned home from his high-pressure work; and of course, nourishment to help combat my mother’s failing health. Though interested in English and writing, it became natural for me to choose nutrition as a college major (minor in journalism) and go on to earn a masters degree in advanced nutrition. Through writing, my goal is to engage readers and affect lasting change. Creating a commanding presence with words can motivate others to try a different food or practice a new behavior. I founded and published a local foods magazine—edible White Mountains—and filled a niche highlighting sustainable food and agricultural interests, and cultivated a loyal readership through print, web, and social media outlets, along with advertising support. 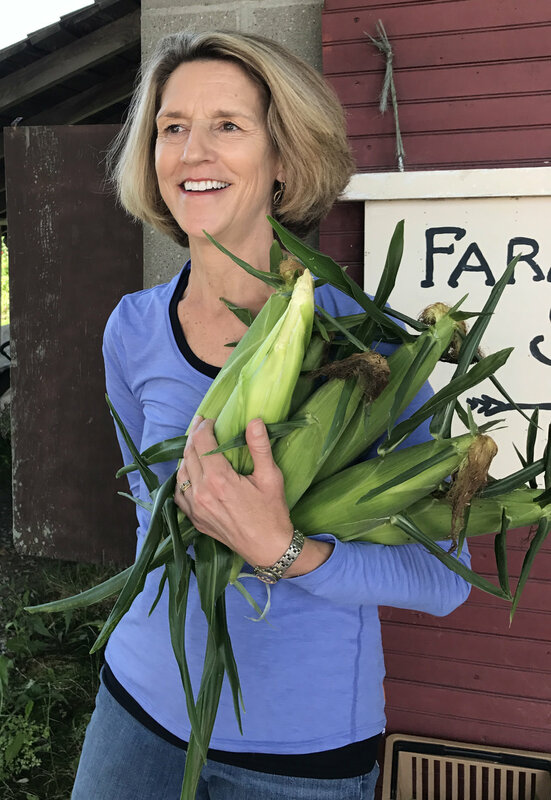 I gained extensive knowledge of local farms and food producers, which coupled with my communication skills, earned me an appointment by the governor to New Hampshire’s Agricultural Advisory Board. As newsletter editor for the Hunger and Environmental Nutrition Post (read by a national network of dietetic professionals) and for New Hampshire’s Northeast Organic Farming Association (NOFA-NH), my communications shared compelling messages that focus on sustainable food and health. In addition to publishing my own nutrition research in peer-reviewed journals, I write for trade publications, magazines, and web content. In my early work, I designed worksite health promotion programs for the American Heart Association and managed nutrition research projects for Pfizer—both experiences enabled me to hone excellent interpersonal communication and organization skills to manage priorities and meet deadlines. I’ve designed creative curriculum and educational pieces when teaching college courses in nutrition and health to both undergraduate and graduate students, and have delivered numerous, stimulating presentations to a variety of audiences. I’ve enjoyed a unique career surrounding food and nutrition—including the creation of a from-scratch bagel bakery and espresso bar! My passion lies in sourcing what we eat directly from farms and authentic food producers. At Dartmouth College, I helped organize and coordinate Food Day, a national, annual event that examines our food system, with inventive agendas and visionary keynote speakers. As food is something we all share in common, I have been thrilled to profile many of the faces and hands that play a role in what we eat. And as our food system impacts just about every facet of our lives—health, environmental, economic, political, societal—I’ll help you tell your story too.